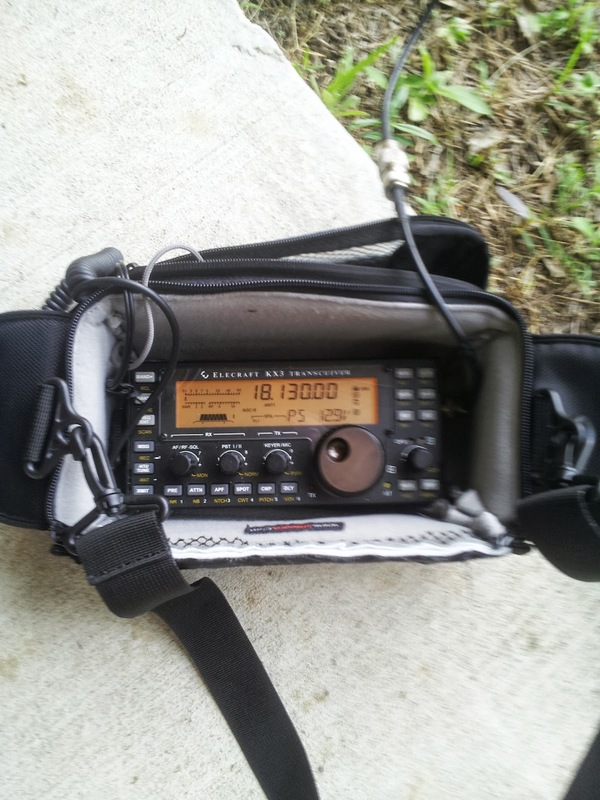 The goal of the monthly RaDAR challenge is to encourage development of equipment and operating skills for Rapid Deployment Amateur Radio. This is good preparation for RaDAR contests or emergency scenarios. RaDAR contests typically have time constraints that increase the challenge. 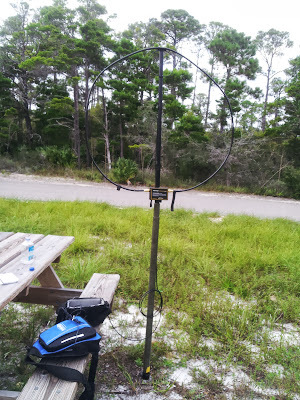 I tested a quick setup configuration on August 31st at Top Sail Hill Preserve State Park near Destin FL. I call it semi pedestrian mobile. The main feature is having an Alexloop deployed on a four foot mast with a spike at one end. Setting up the antenna is merely planting the spike and you are ready to operate. The pole for the Alexloop is a 4 foot military mast section placed over a step in style electric fence post. the electric fence post is taped to the mast at the bottom and provides the spike. 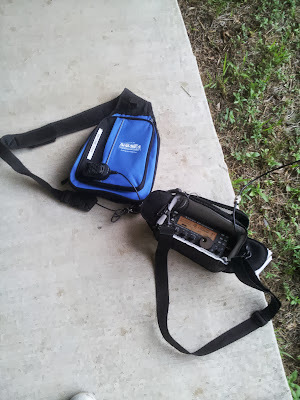 The KX3 is in a camera case that has the top removed and my battery is in a sling pack. So you wear the radio setup and carry the Alexloop/mast at the center of gravity. Gee nobody was around to take a picture of this affair in action Saturday. I was asked if I was tracking bears. So my on-foot adventure started at the parking lot at the park. I started into the park listening to 17 meters SSB. 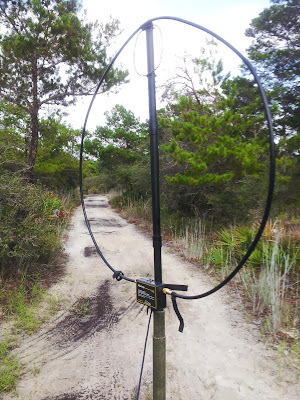 I planted the Alexloop along the trail and worked KB1QX in Maine. He was QRP at a park himself. Not having anymore luck at the time I proceed along and came upon a picnic table. Well I could not resist the opportunity and planted the Alexloop, I worked YS1GMV in El Salvador and K1PGS in MA. Concerned I was running out of sunlight I doubled back. I made a call along the way but no luck. I thought the band was going out. When reaching the parking lot I took advantage of a picnic table there and worked KC0IGT MN and KD0ETC who was portable in a state forest near Lake Superior. 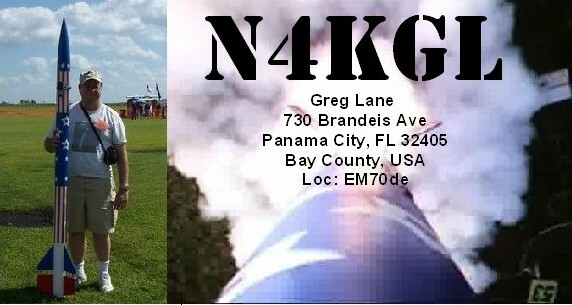 The last QSO was good as Steven had a nephew Trip who was 14 years old who spoke to me and was having a lot of fun. The walk in the park was 1.8 km over about 2.5 hours. my APRS track using N4KGL-5 is at http://aprs.fi/#!mt=roadmap&z=11&call=a%2FN4KGL-5&timerange=3600&tail=3600 The park is at EM60UI. 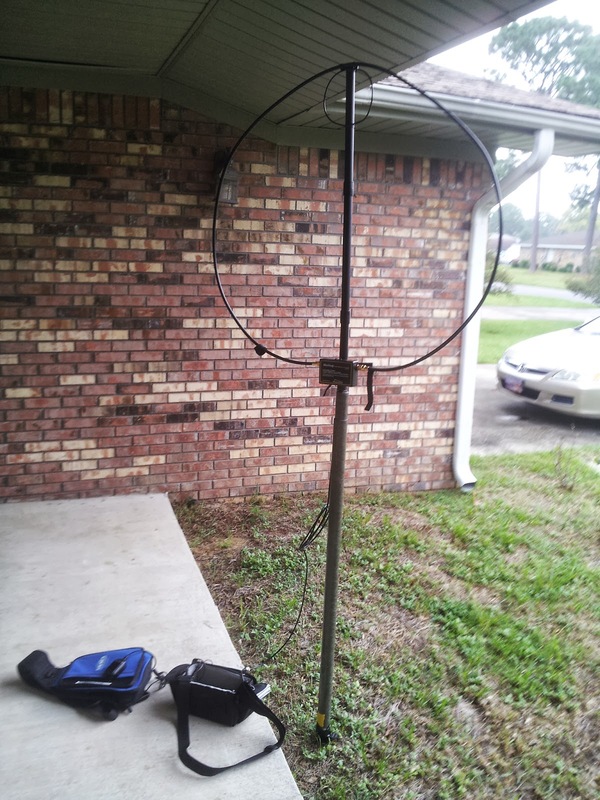 This configuration is one I'll consider for the November 2nd 2013 RaDAR America Contest. The RaDAR concept was originated by Eddie ZS6BNE. See Eddie's blog at this link. Marcus NX5MK introduced RaDAR in America. See the site at http://radar-america.blogspot.com/ The RaDAR contests are the first Saturday in April and November. Meanwhile there is RaDAR Challenge. See this link for the RaDAR Challenge rules. 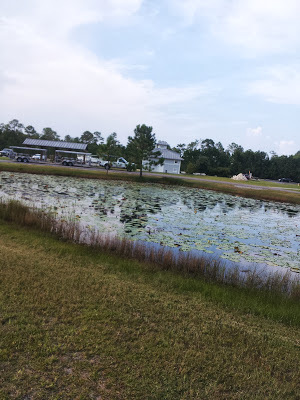 If this RaDAR idea appeals to you checkout the RaDAR community on Google plus at this link Note, you do not have to join the community to participate in RaDAR. The gear at home. Note the case and the pack are worn while in transit. KX3 in camera case with top cut off. I took advantage of a picnic table along the way.